Gross domestic product is made up of the total market value of final goods and services produced in an economy. GDP is a market value of all final goods and services newly produced in a country during some time. Market value means the total amount that people spend or produce measured by the market prices. 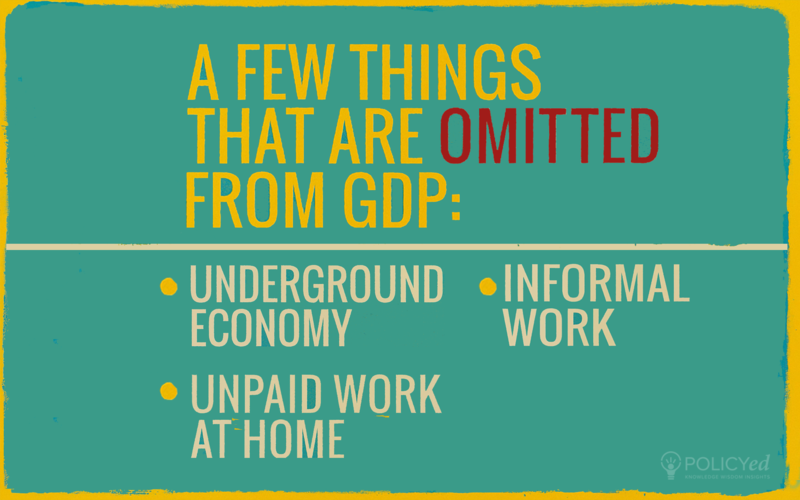 GDP does not measure underground economy, unpaid work at home, and informal work as they do not change in great amounts over time. 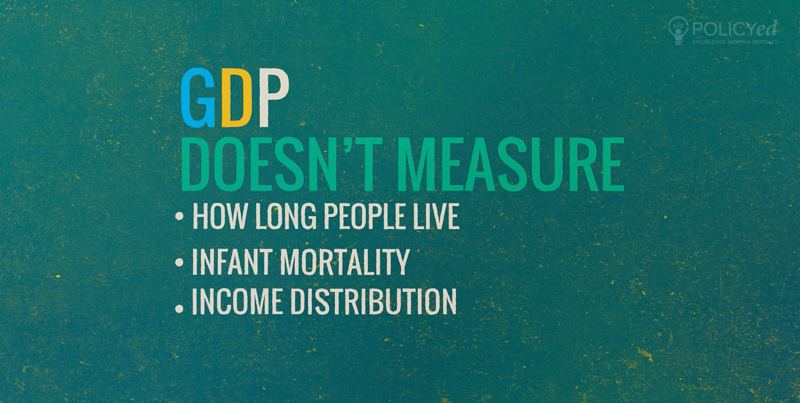 GDP does not measure everything. Remember, (GDP) is the total amount produced in the economy. 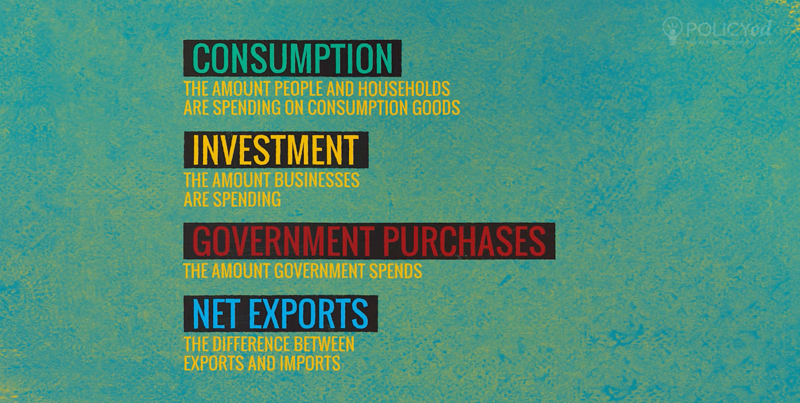 Consumption, Investment, Governmenet Purchases, and Net Exports are added together to measure the GDP. The key idea is to measure production in the economy over a particular period. 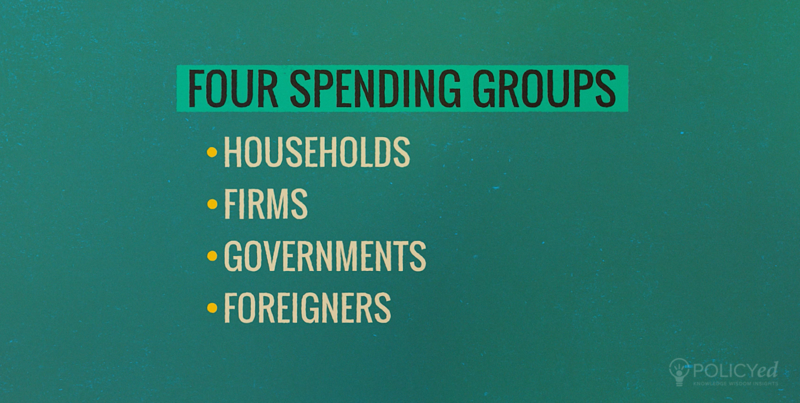 Households, firms, governments, and foreigners are the four spending groups. 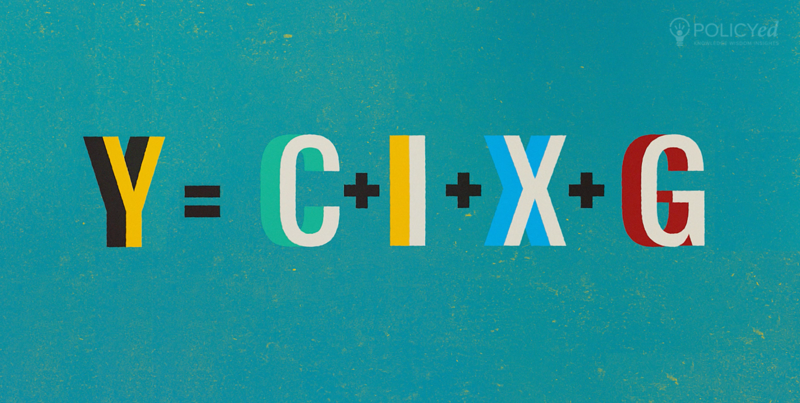 While consumption is what household spend, investment is what businesses spend. 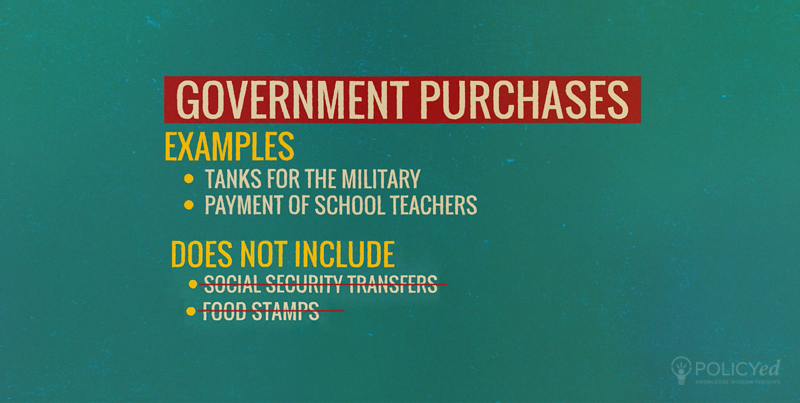 Government purchases is used to measure to the GDP and examples include equipment for the military or payment of school teachers.